New Orleans Slate: New Orleans is One Big Stage. . . . Thank you!!!!! I'm going to Spam you for a bit...but it's a good thing! Musicians! Artist! Street artist! Actors! Promoters! Dee jays! Venue owners! A call to arms! Our city has lost focused on what makes it great and keeps people all over from coming here! THE ARTS! There is a unified, city wide, offensive against Live Music. It requires a well thought out, organized response, much like a defensive line, to knock it back a bit. In order to do this we must fight them on their terms! We are in the works of beginning a non profit organization dedicated to just that! We need your help! NOVA the New Orleans Voice for the arts is now in it's fledgling stages! In order to get this off the ground we must show the city THE PEOPLE WANT AND NEED THIS! 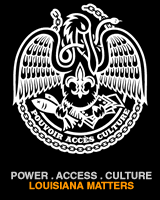 An organization dedicated to fighting and changing the ridiculous permit laws and the harassment of musicians, artist, second lines, venues, art galleries and beloved Mardi Gras Indians! WE NEED YOUR CONTACT INFO! With enough signatures with New Orleans Address we can go FORWARD! Please email Name and address to our mailing list! Thank you. Well said, Geoff. I've seen several pieces on this topic in the last week or so, and yours is the first to mention the neighborhood associations. People do not realize how powerful they are. It seems to me that a lot of this stuff- zoning, permitting, maybe even the crackdowns, in some cases - is ultimately driven by the people involved in neighborhood associations. I know you go to those meetings. How many times have you (and I) seen people standing up and loudly demanding stricter rules, better enforcement, while most people applaud, and a few politely sit with their hands in their laps, and no one offers a different perspective? It's a GOOD thing that these organizations are being heard and affecting change- but the overall make-up of these groups needs to balance out. It's good that we have folks fighting for preservation, quality of life for residents, etc. But we need more people getting involved in the process who are willing to stand up and fight for the culture, for the music, for the musicians, for the business owners. 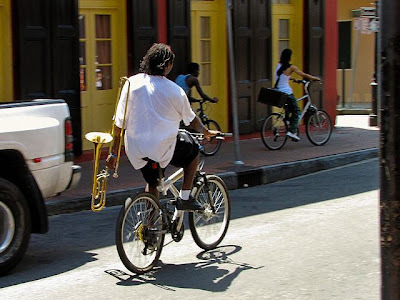 Too many of the people who would do this have been staying home, blissfully ignorant and uninvolved, assuming everything will be fine because this is New Orleans and the culture will prevail. Organizations like the one mentioned by the above commenter are important, too. But I really think more of the people who are creating and driving the culture need to start showing up at their neighborhood meetings all over the city. It's not glamorous, it's not exciting, like a march or a rally might be, but ultimately, those church basements and community centers, once a month, are where we can make an impact. must be preserved. It's something to be proud of. To many people in many cultures, music and entertainment is an important part of our way of life. Zoning and permits are not needed. Nowhere in the City Charter creating and defining the functions of the Department of Safety and Permits to find any notice requirements.